Sweater weather is upon us, alas. Well the air finally has that feel to it where we can bring out our sweaters and revel in the temperature change. There are a wide variety of sweaters to choose from that can really accommodate everyone's style and every attire. Below I have created some styling options to further assist you in pairing or wearing your warm threads this fall. OMG! 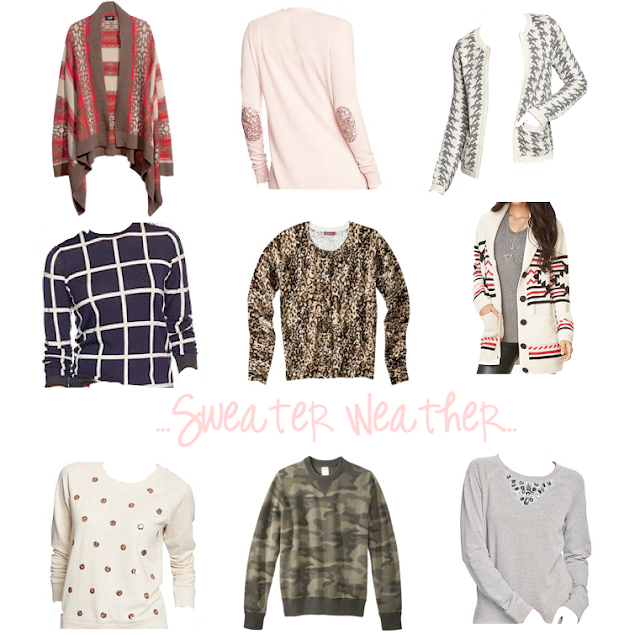 I want all of these sweaters!!!! You are trouble missy! Great post girl! I am loving all of these sweaters, how the heck can you pick just one? lol That camo one is my fav!!! Excellent styling tips! I'm so happy it's finally sweater-weather & can't wait to put your tips into good use!